According to Smokin' Aces director Joe Carnahan, a prequel to his movie is - we're really sorry here - in the cards. Carnahan wrote on his official website (smokinjoecarnhan.com) that "finally, some actual Smokin Aces news. Universal has officially greenlit the prequel and we are underway. Cameos will abound. Trust me." 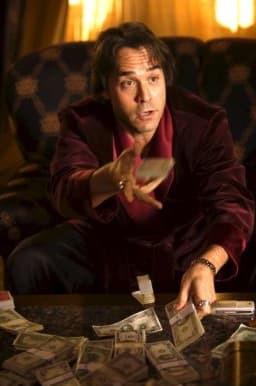 The original movie focused on Jeremy Piven's sleazy magician Buddy Israel. Ben Affleck, Andy Garcia, Ray Liotta and Alicia Keys co-starred.